Sometimes considered as beneficial to people because they eat garden pests, skunks can be a nuisance too. Although skunks do not eat bulbs or flowers, they may dig in your garden looking for cutworms and other garden insects. In addition, skunks emit a foul odor when frightened or agitated. Skunks normally live in prairies and forests; however, you may find them moving into human territory by burrowing under sheds, homes and woodpiles. Prevent skunks by cohabiting with you by using skunk repellents. 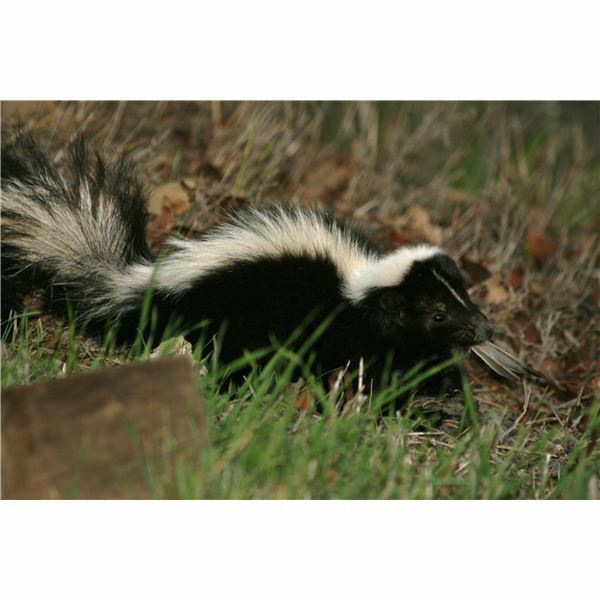 Although chemicals and other commercially prepared repellents help get rid of skunks, it’s best to learn how to make homemade skunk repellents so as not to harm skunks, other animals and humans. Skunks, just like most animals, do not like the smell of citrus. Spreading citrus peels along the perimeter your yard will help prevent skunks from entering your property. When the citrus peels dry up, they can lose their aroma; therefore, it’s necessary to scatter new citrus peels every time the peels dry up. Planting citrus trees can also help in emitting citrus odor to repel skunks. Make sure to have enough citrus trees planted along your perimeter. Provide at least 6 feet of space in between each tree to make room for growth. Some varieties of citrus trees that produce abundant fruits include oranges, lime and lemon trees. Another homemade skunk repellent that you can easily do involves some items from your kitchen pantry. Boiling 6 cups of water with 5 pieces cayenne pepper, ground, one large whole yellow onion and 5 pieces jalapeno pepper for 20 minutes will produce a concoction that you can spray along the perimeter of your house several times a week. Strain the mixture into an empty bowl, cool and then pour into an empty spray bottle. Skunks find the pungent and strong odor coming from the mixture offensive. Double up on the ingredients if the concoction does not smell strong enough. Ammonias emit an odor that does not appeal to skunks. Gather a few old rags and soak them in ammonia. Then, scatter the ammonia soaked rags along the perimeter or areas that skunks may go to. Once the rags dry up, they may no longer emit the ammonia odor. When this happens, soak the rags again in ammonia. You may opt for cotton balls if you ran out of old rags. Just drop the ammonia soaked cotton balls inside the suspected skunk den and pathways. If you have a cat, you can use the litter in place of ammonia soaked rags or cotton balls. The cat’s urine smells like ammonia. Installing motion detector lighting can ward off skunks. Nocturnal by nature, skunks forage at night. Bright lights can scare away skunks that may enter your garden. Place the motion detector light around the perimeter of your home, under crawl spaces, storage sheds and other dark areas of your garden. You can also use a flashlight or spot light and focus it at the entryway of the skunk's den. The skunk will move on if there's uninterrupted bright light. If you find a skunk's den in your property, place a radio near the opening. Put the channel in a talk show and turn the volume up to scare away the skunks. By utilizing noise and other homemade skunk repellents, you will get rid of skunks.